Fri., Feb. 8, 2019, 9:10 a.m.
LOS ANGELES – The publisher of the National Enquirer said Friday it will look into claims of extortion and blackmail made by Amazon CEO Jeff Bezos, who said the tabloid threatened to publish intimate photos of him unless he stopped investigating how the Enquirer obtained his private exchanges with his mistress. The company’s statement is the latest twist in a high-profile clash between the world’s richest man and the leader of America’s best-known tabloid, who is a strong backer of President Donald Trump. 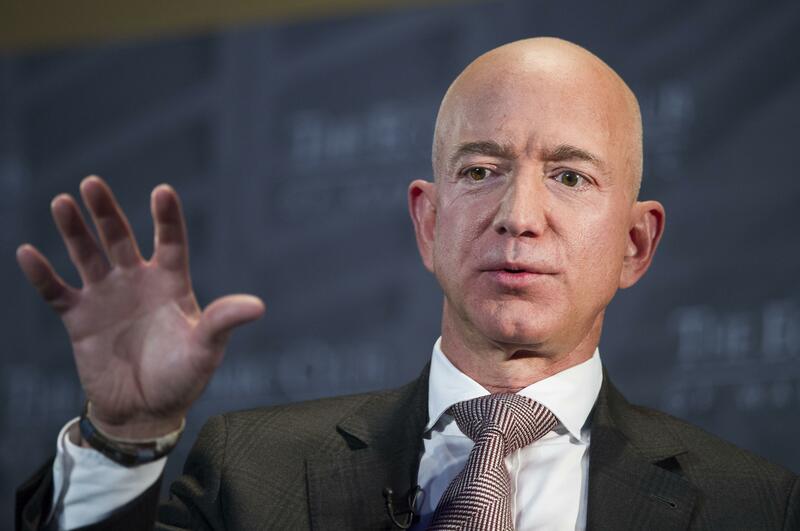 Bezos’ investigators have suggested the Enquirer’s coverage of his affair – which included the release of risque texts – was driven by dirty politics. Bezos, who is also owner of The Washington Post, detailed his interactions with American Media Inc., or AMI, in an extraordinary blog post Thursday on Medium.com. The billionaire did not say the tabloid was seeking money – instead, he said, the Enquirer wanted him to make a public statement that its coverage was not politically motivated. De Becker is now trying to find a way that federal prosecutors in Manhattan – where the non-prosecution agreement was signed – could investigate the text message scandal, the person familiar with the matter said, though it wasn’t immediately clear what, if any, crime the prosecutors would be asked to look into. Published: Feb. 8, 2019, 9:10 a.m.